In 2014, a woman wrote to Consumer Reports with a problem. She said her husband was able to get health insurance at his job for $130 a month, which was about 4% of their monthly income. However, adding her to his plan would have raised the cost to $415 a month, more than 12% of their income. Was there anything they could do, she asked? Sadly, the answer was no. In theory, the Affordable Care Act (ACA) — better known as Obamacare — is supposed to guarantee all workers access to a health care plan they can afford. Unfortunately, the IRS has interpreted the law to mean that workers are only guaranteed affordable coverage for themselves, not for their families. So, even if the cheapest available plan is way beyond a family’s financial reach, they don’t qualify for a subsidy. This problem, commonly known as the “family glitch,” has left millions of Americans with no source of affordable health insurance. If you’re one of them, there are no good solutions for you and your family. Until Congress steps in to change the wording of the law, which it has so far declined to do, the best you can do is rely on the following stopgap measures to provide some sort of coverage for your dependents. The ACA requires employers with at least 50 full-time employees to provide their workers with a health plan that’s affordable for them. The current definition of “affordable,” according to Healthcare.gov, is that the plan costs no more than 9.56% of the employee’s monthly total household income. For instance, a worker with a monthly income of $4,000 can’t be charged more than $382.40 per month for a health plan. If the total monthly premium is higher than that, the employer must pick up the difference. However, this limit is for “self-only” coverage — that is, a plan covering only the employee, with no dependents. Employers have to offer coverage for the children of employees, but they aren’t required to pay anything toward the cost of that coverage. So, if that same worker has a spouse and children, and the cost of covering the entire family comes to $1,000 a month — a whopping 25% of their household income — it’s still considered “affordable” as long as the employee’s own share comes to less than $382.40. It might seem like this is no problem, since the employee could just buy coverage for their spouse and children through the Health Insurance Marketplace at Healthcare.gov. If they can’t find a plan in the Marketplace for less than 9.56% of their household income, they can get a subsidy to pick up the difference — right? Unfortunately, no. Under the ACA, HealthInsurance.org explains, you can’t qualify for a subsidy if you have access to an affordable plan through an employer. And since the law defines an affordable plan as one that covers the employee alone for 9.56% or less of their household income, it makes no difference how expensive the employer’s coverage is for their spouse and children. As long as the employee’s own coverage is under 9.56% of their monthly income, no one in the family can get a subsidy. Oddly enough, although the law defines these family members’ care as “affordable” as far as subsidies are concerned, it doesn’t define it as affordable with regard to the individual mandate, which penalizes people who do not have health insurance. In other words, if a spouse and children can’t get a plan for less than 8.05% of their household income, even if the employed parent can, they qualify for a “hardship exemption.” If they don’t squeeze their budgets to buy one of the high-cost plans available to them, they pay no penalty for going without insurance. However, this is small comfort for families who can’t afford a health plan. For most of them, an affordable plan would provide much more value than the money they save by going without insurance. And in any case, the hardship exemption won’t be relevant much longer, since the 2017 tax bill eliminates the individual mandate after 2018. It seems a bit bizarre to define affordable coverage based on “self-only” coverage, rather than the actual price an employee pays for their entire family. In fact, it’s not at all clear from the text of the ACA itself that this is the correct way to read it. The problem is that there are two different portions of the law involved. Section 36B, which deals with subsidies, says that an employer plan is affordable as long as the employee’s “required contribution” toward the premium doesn’t exceed 9.5% of income — a percentage that rose to 9.56% for the year 2018. However, the term “required contribution” also appears in Section 5000A, which deals with the individual mandate. It says that employees don’t have to pay a penalty for failing to purchase coverage if they’d have to pay more than 8% of their income (8.05% in 2018) for a self-only policy. Clearly, these two portions of the law are talking about two different things. There’s no particular reason to assume that just because an employee’s cost threshold to avoid a penalty is calculated based on a self-only policy, the cost threshold for subsidies needs to be calculated the same way. 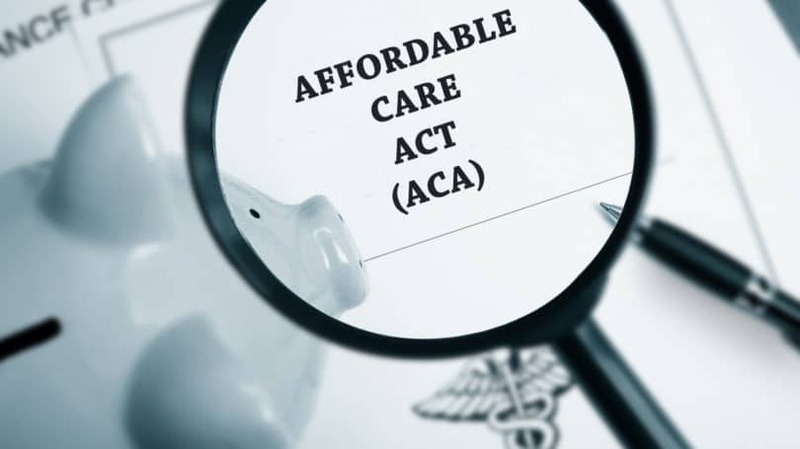 However, when the IRS published its final rule on how to interpret the ACA in the Federal Register in 2013, it declared that the law, as written, defined affordability based on “self-only” policies and it would require a new regulation to change that definition. Calling this problem a glitch makes it sound like the IRS simply made a mistake, but actually, both it and the Government Accountability Office (GAO) considered the impact of this decision very carefully. The two agencies decided that if they defined affordable policies based on the cost of covering a whole family, the government would end up having to pay out subsidies for more people. So, this so-called “glitch” was actually a deliberate move by the government to keep costs down by depriving millions of people of affordable care. You’re unmarried and have no dependents. 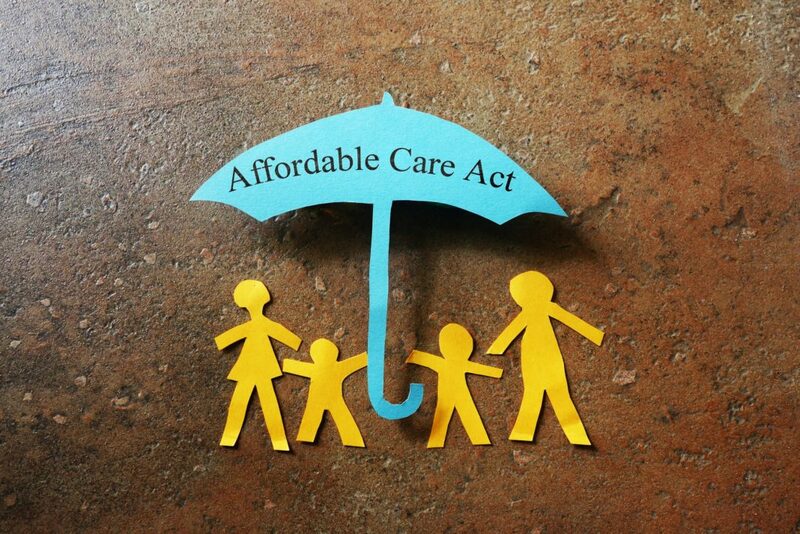 Either you or your spouse can get affordable coverage for your whole family through an employer. You’re married with no kids, and you and your spouse both have coverage from your employers. You’re married with no kids, and your workplace doesn’t offer coverage for your spouse. In this case, your spouse can qualify for a subsidized plan on the Health Insurance Marketplace. Both you and your spouse are self-employed or work for small companies (those with fewer than 50 employees) that don’t provide a health plan. In this case, both of you can qualify for health care subsidies. Your family income is low enough to allow you or your dependents to qualify for Medicaid in your state. These six cases cover the majority of working-age Americans. However, according to a 2014 policy brief by Health Affairs, anywhere from 2 to 4 million Americans slip through the cracks. Lower-income workers are the most likely to be hit by the glitch for two reasons. First, having a lower income means you automatically have to spend a larger percentage of that income on health care if you don’t qualify for subsidies. Second, low-income workers are less likely to have generous health care plans available at work. This means that they pay higher monthly premiums, and their employers contribute less to the cost of their care. According to Health Affairs, workers at the bottom 25% of the income ladder must pay 44% of the cost of their employer-based health care, on average. Their average cost in 2014 was $6,234 per year. Meanwhile, workers at the top 25% of the income ladder pay an average of only 30% of their health care costs, or $4,980 per year. In other words, those who can least afford health care are paying the most for it. The Family Coverage Act. In 2014, former Senator Al Franken proposed the Family Coverage Act, which would have redefined affordability under the ACA so that it was no longer based on self-only coverage. However, this bill died in committee, and no one has reintroduced it. The Clinton Proposal. As a candidate for president, Hillary Clinton also said she intended to fix the family glitch, as reported in The Hill in June of 2015. However, she lost the election to Donald Trump, who was more interested in scrapping Obamacare completely than repairing it. Repeal and Replace. Ever since the ACA first passed, Republicans in Congress have been attempting to repeal it and replace it with a new health care plan. It’s not clear what this replacement would look like or whether it would really make affordable care available to Americans who don’t have coverage now. In any case, Congress has so far failed to pass a repeal bill. The only portion of the ACA it managed to eliminate in its 2017 session was the individual mandate, leaving the family glitch untouched. The Entire Family Scenario. A 2015 report by the Rand Corporation proposed two ways of correcting the family glitch, which the authors referred to as the “affordability firewall.” The first option, or the “entire family” scenario, would have redefined affordability as having the health care premiums for an entire family come to no more than 9.5% of its household income. The authors estimated this plan would reduce the number of uninsured Americans by roughly 1.5 million at a cost to the government of $8.9 billion. The Dependents-Only Scenario. The Rand paper’s second plan was less dramatic. It would have made workers’ family members, but not the workers themselves, eligible for subsidies if their insurance costs came to more than 9.5% of their household income. The authors calculated that this plan would insure an additional 0.7 million Americans, as well as making insurance considerably more affordable for those who are now overpaying, but it would cost the government $3.9 billion. As the two Rand proposals show, fixing the family glitch won’t be cheap. Even the less-expensive proposal would require close to $4 billion in additional funding. Given the cost, as well as the bitterly divided political climate in Washington, it’s unlikely the two parties will agree on a solution to this problem any time soon. For now, families caught by the family glitch have to scramble to insure themselves as best they can without subsidies. Here are your best options for finding coverage that’s at least somewhat affordable. If you have kids and can’t get affordable coverage for them through your employer, there’s a good chance they’ll qualify for help from the Children’s Health Insurance Program (CHIP). This program provides coverage for children whose parents can’t find affordable coverage for them at work but aren’t poor enough to qualify for Medicaid. CHIP covers routine care such as checkups, immunizations, and dental and vision care, as well as doctor visits, prescriptions, lab work, X-rays, emergency services, and inpatient and outpatient hospital care. Routine doctor and dentist visits are free, but there can be a copayment for other services. In some states, there’s also a monthly premium for the program. However, your total costs for CHIP can’t be more than 5% of your household income. Each state sets its own rules about who qualifies for CHIP. Some states fold the program into Medicaid, while others offer standalone CHIP for families whose income is too high to qualify for Medicaid. In most states, the income cutoff for this standalone program is somewhere between 200% and 325% of the federal poverty level, as shown on this chart from Medicaid.gov. In addition to income limits, states can consider whether your children have access to an affordable health plan through your employer. In Utah, for example, a family can’t qualify for CHIP if the cost to enroll the children in an employer-sponsored health plan is less than 5% of family income. To learn what CHIP covers in your state and see if you qualify, visit InsureKidsNow.gov. Unfortunately, not all children affected by the family glitch have access to CHIP. A 2012 analysis by the GAO found that roughly 460,000 children who couldn’t get affordable health care from a parent’s employer wouldn’t qualify for CHIP. Also, the program only covers kids, so it’s no help to spouses who can’t get affordable coverage on account of the family glitch. 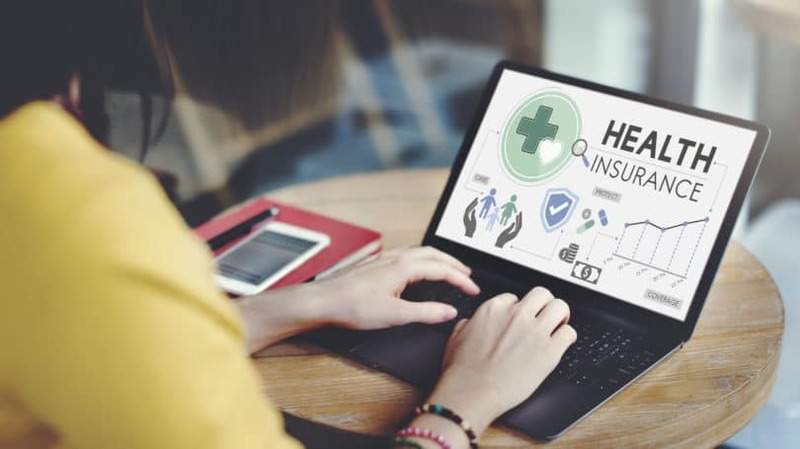 For people in this situation, the best option could be to look for the most affordable plan you can find in the Health Insurance Marketplace. Even if your spouse and children have access to a health plan from your employer, they aren’t required to use it; they can purchase a plan from the Marketplace if it’s cheaper. They just won’t be able to get a subsidy to help them pay for it. Unfortunately, there’s no guarantee that a plan from the Marketplace will be cheaper than covering your spouse and children on your employer’s plan. For instance, for the woman who wrote to Consumer Reports about her health coverage, adding her to her husband’s workplace health plan would have cost the family $285 a month, while the cheapest Bronze-level plan available on the Marketplace was $299 a month. However, it can’t hurt to check and see what all your options are. Health plans offered by employers or sold on the Health Insurance Marketplace must meet the Obamacare standard for “minimum value,” which means they must cover at least 60% of health care costs for an average consumer. However, short-term plans, which are sold as a stopgap to get you through a temporary lapse in coverage, don’t have to meet this standard. As a result, these bare-bones plans are often much cheaper than a full health plan. The rules for short-term health plans have changed several times in the past few years. Before 2017, the federal government defined short-term health insurance as plans lasting less than one year, although states could set shorter time limits. In 2017, the Obama administration barred companies from selling short-term care plans with a duration of longer than 90 days. However, in August 2018, the Trump administration reversed this decision. Under its new rules, not only can companies issue short-term plans with an initial duration of up to 364 days, but those plans can be renewed for as long as three years. The biggest benefit of short-term plans is their low cost. According to HealthInsurance.org, a family of four living in Colorado could buy short-term coverage for less than $100 a month, while the cheapest plan available in the Marketplace would cost $1,190 a month for the four of them. Also, the deductibles for these plans are often extraordinarily high. Louise Norris, a writer and health insurance broker interviewed by CNBC, says many plans require patients to pay for the first $10,000 or more out of pocket before their insurance kicks in. That’s a lot more than most people would pay for a year’s worth of premiums for an ACA-approved plan. Because of these limitations, some states still limit the use of short-term health plans to six months. In five states — New York, New Jersey, Vermont, Massachusetts, and Rhode Island — this type of plan simply isn’t available. However, if you absolutely can’t afford an ACA-compliant plan, a short-term plan that provides only six months of minimal coverage is better than no insurance at all. The most extreme approach for families who can’t get affordable health insurance is for one or both spouses to switch jobs. If your current job doesn’t offer affordable coverage for your family, perhaps either you or your spouse can find one that does. If you only need coverage for your spouse, ironically, you could be better off switching to a new job that doesn’t cover spouses on its insurance plan at all. That way, your spouse would no longer be considered to have access to affordable coverage and would be able to qualify for a health insurance subsidy. In fact, you could actually come out ahead by quitting your job entirely and becoming a freelancer. Then, no one in the family would have access to an employer-based health plan, and you’d all be eligible for subsidies. Alternatively, if one spouse has an employer-based insurance plan and the other doesn’t, the uninsured spouse could look for a job that provides coverage. There are even some part-time jobs that provide health insurance. However, if the uninsured spouse is currently a stay-at-home parent, you’ll have to balance the value of affordable health care against the money you’ll now have to spend on day care while both parents are at work. Unfortunately, for many families facing the Obamacare family glitch, there are no good options. CHIP can provide care for kids in most cases, but spouses are still forced to choose between paying too much for a health plan, settling for a short-term plan with limited coverage, or finding a new job. The only real way to solve this problem is to get Congress to change the wording of the law and close the loophole that created the family glitch. So, if the family glitch is hurting your family — or if you’re simply concerned about how it hurts others — get busy and start pestering your Congressional representatives about it. Call and write letters urging them to quit their partisan bickering for once and actually do something to help the millions of Americans stuck without any access to affordable health care. Don’t let up on them until they fix this problem that should never have existed in the first place. Are you or someone you know affected by the family glitch? What have you done to get around it?